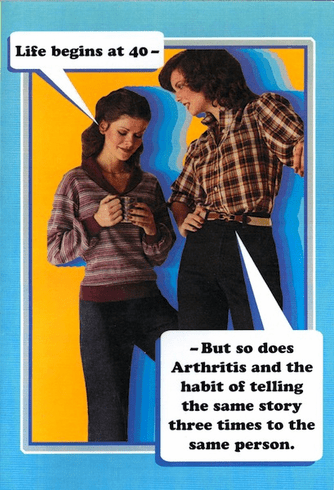 Outside: Life begins at 40, but so does arthritis and the habit of telling the same story three times to the same person. Inside: Happy Birthday. Let the fun begin!